Archaeologists have long looked to evolutionary biology for theoretical frameworks that can be applied directly to cultural evolution. The origins of agriculture, one of a handful of major transitional events in human cultural evolution, are often used as a case study opportunity for demonstrating the utility of these models in explaining the course of culture change. 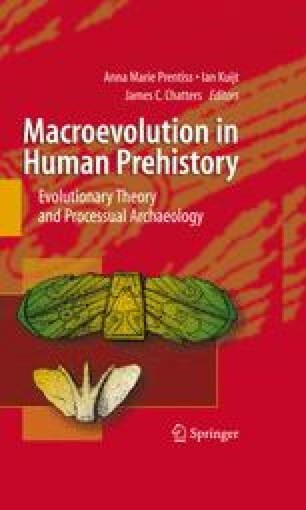 This chapter looks at three different co-opted evolutionary models that have been applied to cultural evolution: neo-Darwinian or selectionist archaeology, macroevolutionary archaeology, and human behavioral ecology, comparing and contrasting the basic tenets of these different models and reviewing previous attempts to apply them to the emergence of agricultural economies in different world areas. The record of agricultural emergence in the Near East, where the empirical record of this development is most robust, is then reviewed and the utility of the three co-opted evolutionary models in accounting for these developments is assessed. Issues of scale, tempo, directionality, and the role of human intent in these developments are examined.